To dismantle the whole in order to understand its parts; to use existing objects and technologies in a manner unforeseen or unintended by their manufacturers; to invent new forms by breaking down the codes that underlie old forms; to provoke systems into revealing what they’re made of. 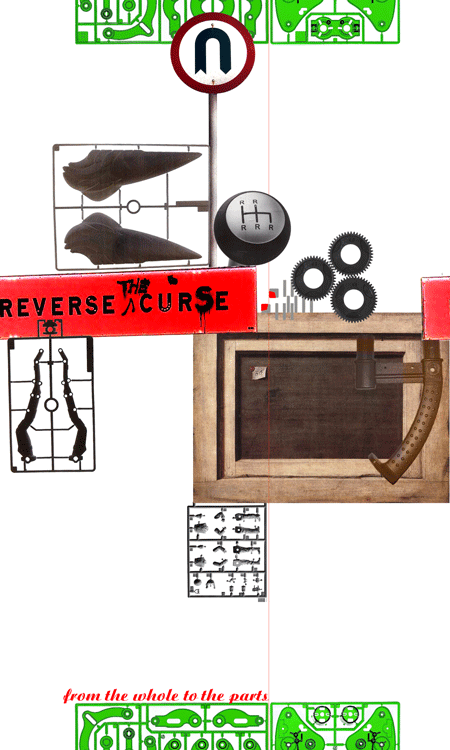 These are some of the tactics associated with reverse engineering as practiced in a variety of fields and contexts: from industrial design and software development to anthropology and medicine. As a practice that emphasizes “know-how” over material advantage, it is no coincidence that reverse engineering has emerged as a strategy in wars that are increasingly asymmetrical and in a world where power and resources are increasingly concentrated and unequally distributed. The artists featured in this exhibition variously embrace reverse engineering as a means of critically understanding, intervening in and reinventing this world. HowStuffisMade project by Natalie Jeremijenko is an on-line encyclopedia of labor conditions and manufacturing processes involved in the production of contemporary products. These "photo essays" can be used both as a consumer guide to commodities (blue jeans, plastic bags, fortune cookies, paper clips, etc.) and as a prototype curriculum for training future engineers and designers. The HowStuffisMade website is designed as a TWiki, an open-content, editable system that allows visitors to modify, correct and/or contribute new content. As the artist writes “this system has the potential to change design practices, and industry practices… Because future generations of designers and future managers will be introduced to manufacturing and labor issues much earlier and much more vividly in their career (most engineers and almost all management students graduate without a single visit to a manufacturing facility), they may be better equipped to explore and develop designs to address these issues.” >from *reverse engineers exhibition site*.